The legalization of marijuana will change a lot of things, and one concern of cannabis connoisseurs is what I'll call the 'Budweiser effect': the standardization and homogenization which could come as large players enter the market and displace the current cottage industry. At public comment meetings related to the implementation of I-502 in Washington State, the fear of losing the boutique nature of the marijuana industry is often expressed with the analogy of microbrewed beer versus Budweiser. Given the immense popularity of marijuana, it seems likely that small, medium sized and large companies will all have a place in the emerging industry. There's a place for our beloved microbrews, but there is plenty of room for Budweiser too. Big brands like Budweiser deliver their product with consistency, reliability and accessibility - very comforting attributes to a consumer. You may think what you will about the flavor (or lack thereof) of the King of Beers, but you can order a Budweiser in Milwaukee, Seattle or Sioux City and it's going to deliver the same product experience every time. Familiarity instills a sense of comfort, it's a fact of human nature leveraged by marketeers every day, and is part of the reason Budweiser, McDonalds and franchises in general are successful. 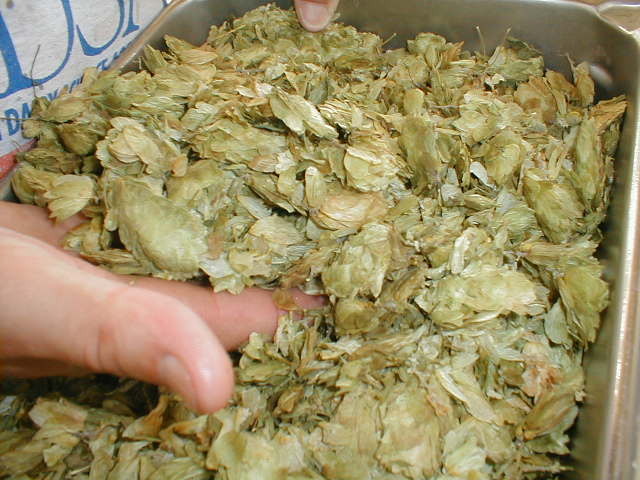 Hops are closely related to marijuana and are also members of the botanical family Cannabaceae. Consider the differences in how microbreweries typically use hops versus how hops are incorporated by large, corporate breweries. 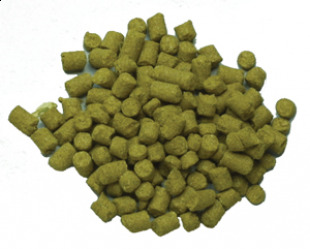 Hop pellets and fresh hops can both make beer, but hop pellets look like gerbil food. As marijuana becomes commercially available, it is inevitable that product lines will develop to meet consumer expectations in terms of consistency and reliability. The existing tobacco smoking products industry (cigarettes, cigars and pipe tobacco) does a remarkable job offering consistent products to their consumers. Tobacco is an agricultural product, subject to effects of differing crop years and an ever increasing international market for raw materials. But the industry has developed technologies to ensure the consistency their consumers expect. Blending is the tobacco industry's strategy for delivering consistency to their smokers. 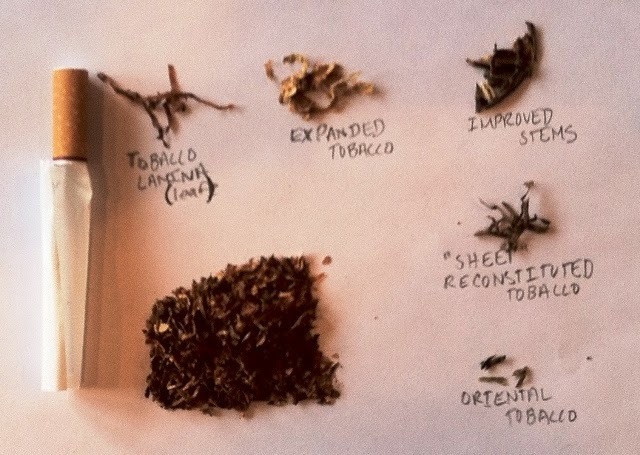 Different varieties of leaf including Bright, Burley and Oriental (in the case of cigarettes), along with other components are mixed together to create a final blend. Within a single type of tobacco - say 'Bright' - a blend may have a mix of different crop years, and leaf from different continents. Rather than patenting formulas and having the details become public, most blend recipes are closely guarded trade secrets. One dirty little secret in the art of tobacco blending is the inclusion of reconstituted or 'sheet' tobacco. Tobacco scraps and dust are ground into a slurry and turned into sheets in a process akin to paper making. This 'sheet' product can be produced very consistently, making it a great tool for a leaf blender trying to create a consistent smoking product. A robust industry exists supporting such technologies. Blunt wrappers are just squares of flavored sheet tobacco. The future of the cannabis industry is history in the making, and much will depend on how the foundations are laid in Washington and Colorado. The cottage industry nature of NW cannabis culture can be preserved if the community demands it. 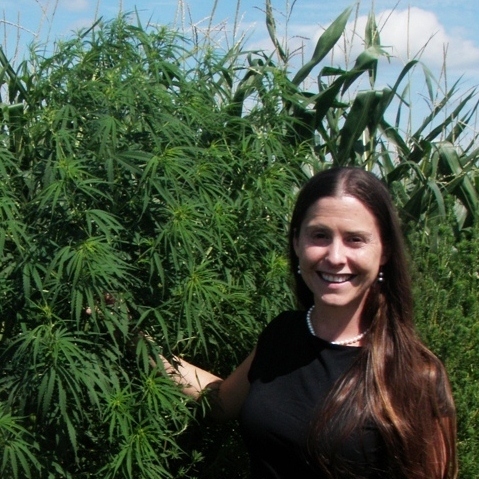 The marijuana industry is destined for greatness, and there is room for players of all sizes. Article by Heather Hjorth. Heather is the Principal Consultant at Hjorth Product Research - the world's first consumer and product research consulting firm dedicated to serving the legal cannabis industry. Disclaimer: This article references Budweiser only as a reference for our audience. The author is not affiliated with Budweiser in any way; this article does not imply any knowledge of past, present or future business or marketing plans of Budweiser or Anheuser Bush. Medical Marijuana Los Angeles and California cities have mostly allowed the services to operate freely. State Medical Marijuana Los Angeles laws don't mention delivery services, which, like dispensaries, require patients to join as members of a collective.